Red (related art.-Slav. Krasny — beautiful, beautiful), also scarlet, Jany (arch.) — area in the long-wave part of the visible spectrum corresponding to minimum frequency of the electromagnetic field perceived by the human eye. The range of red colors in the spectrum is often defined wavelength 620-740 nanometers, which corresponds to the terahertz frequency 484-405. Люди с древности проявляли особое пристрастие к красному цвету. Во многих языках одно и то же слово «красный» обозначает цвет и вообще все красивое, прекрасное. В русском языке: Красная площадь - красивая площадь; фольклорные образы: красна девица, красно солнышко. Gritex (Гритекс) – тонкая пористая мембрана сложной структуры, изготовленная из гидрофобного полимера. Никогда не промокает, не продувается, отлично дышит. Для высококачественной обуви, предназначенной не только для неспешных городских прогулок, но и для прохождения опасных участков, используют в качестве прокладки защитную мембрану GRITEX. great for people leading an active lifestyle and love all kinds of long hikes. The company is constantly wholesale shoes to many countries. "REDROCK" always consistently good quality. The main characteristics of this brand of shoes are reliability, functionality and comfort. High quality performance manufacturers can achieve through a combination of ancient methods of hand-made shoes and the latest technology of today. "REDROCK" in the process of production undergoes many checks on quality. Surprisingly, contemporary models of shoes of the brand applied about ten the latest technology. This membrane and the insole that provides ventilation inside the boot or Shoe. This is a special waterproof membrane SPO-Tex. Thanks to these innovations the legs during long and exhausting walk and still remain dry. To protect the feet from possible injury firm "REDROCK" uses an innovative system of Support System, which provides a kind of support of the foot when walking on uneven surfaces. Thanks to the innovative use of Vibram soles, you can be sure that your foot does not slip on wet soil. It is also important that in the manufacture of all products "REDROCK" the manufacturer uses only natural materials, represented by different kinds of leather for shoes. "REDROCK" is not only comfort and safety but also an indicator of your sense of style and fashion. If you are energetic, modern, purposeful and trendy person, this Shoe is designed just for you. can last for not one year. Buy "REDROCK" and conquer the world! Trekking boots Red Rock m 41717 black. Trekking boots Red Rock m black 12817. Trekking boots Red Rock m 41717 v45 cor. Trekking boots Red Rock m 5615 v3 cor. Trekking boots Red Rock m 10935 black. Trekking boots Red Rock m 41703 black. Trekking boots Red Rock m 10943 black. Trekking boots Red Rock m 11473 black. Trekking boots Red Rock m 10005 cher. Trekking boots Red Rock m 12803 black. Trekking boots Red Rock m 12813 black. Model suitable for Hiking in nature or everyday use in winter period. Made of durable leather with the use of Spotex waterproof membrane. Bad weather you are not afraid! Pad and footbed provide comfort and reduce fatigue of the feet even after long walks Thin porous complex structure - Spotex, made from hydrophobic polymer Non-slip properties of the sole are retained in different temperature regimes Increased durability of the midsole Insole - removable, antibacterial, with holes for ventilation Durable lace up closure provides a convenient fixation of the boot on the leg Material top: skin Sole: Walking Country of origin: Italy The road entices us, promising that after the next turn appears an oasis with spring water and a fabulous place to spend the night, but no... there again the next rise, and hope wings up and forward. In these shoes you can go without feeling tired and disappointments. Made by Italian craftsmen, they combine the softness of the sneaker with the reliability and stability of a trekking Shoe. Enjoy the journey! The necessary rigidity and elasticity, good grip and stability on challenging terrain in any weather provides the sole "Walking", which has high wear resistance. Upper material - soft, breathable natural skin. Shoes lining - textile material with Spotex membrane - breathes, is waterproof, well removes excess moisture and maintains a comfortable temperature in the Shoe, protecting the foot from moisture and exposure. Special removable molded anatomical footbed with high wear resistance and antibacterial properties, supports the arch of the foot and provides good ventilation. Sewn tongue reduces the likelihood of getting wet and falling into the boots of forest "waste". Durable lacing tightly fixes the leg, is tightened easily and quickly released. In order to make it easier to "feel" the shoes, in our stores, there are "hills" - simulators difficult terrain. Stylish and practical shoes for men. Season: the fall/winter. Men's shoes are good for daily walks around the city and activities The top is made of high quality leather, high wear resistance, regulates breathability and provides comfort Have excellent strength, water resistance, and solid tongue prevents the ingress of sand and dirt inside the Shoe Top: genuine leather with impregnation from water Lining: textiles Insole: removable, NAT.leather /EVA Membrane: Gritex (Gritex) – thin porous membrane of difficult structure made of a hydrophobic polymer Sole: rubber ABS The sole line "ANTISTATICA" - a new system in the production of soles provide extra comfort when walking, protecting feet from static stresses in different conditions socks System ANTI-SHOCK - protects the foot in the heel area, promoting the natural rolling of the foot, absorbing shocks Durable lace up closure provides a convenient fixation of the boot on the leg Country of origin: Italy While feet dry, any weather can not spoil the mood and have a significant impact on your plans. Try light, comfortable shoes firm RedRock, each pair of which is sewn with love and attention of legendary Italian shoemakers. "Model 41703" was designed to protect you from the weather, which greatly contributes to their sole belonging to the line "ACTIVE". The ACTIVE line was created by the engineers from Red Rock to expand the scope of the city's favorite shoes. The soles of this series make you feel more comfortable not only on the asphalt, but in more extreme conditions, such as long walks on the road. System ANTI-SHOCK - protects the foot in the heel area, promoting the natural rolling of the foot, absorbing shocks and protects the foot from twisting, dislocations and sprains. Sole of elastic rubber is not slippery and provides good cushioning while walking. Used in the manufacture of a sole system "ANTISTATICA", protect your legs from static electricity. Upper material - high quality genuine leather with water-repellent impregnation and a high degree of wear resistance, which creates a comfortable microclimate inside and has a surprising softness. Shoes lining - textile material with Gritex membrane (Gritex) - breathes, is waterproof, well removes excess moisture and maintains a comfortable temperature in the Shoe, protecting the foot from moisture and exposure. Special removable molded anatomical footbed (natural leather + EVA) absorbs impacts when walking and maintains the proper position of the foot, reducing fatigue. EVA (ethylene-vinyl-acetate) is a lightweight and supple material similar to rubber foam with excellent cushioning properties. Has low heat, does not absorb moisture, maintains its flexibility at low temperatures. Due to the structure of the foam midsole EVA, the shoes are well springy, easily recovers its shape when reverse deformation, retains heat, doesn't miss the cold. Sewn tongue reduces the likelihood of getting wet and falling into the shoes of sand, mud and forest "waste". Durable lacing firmly fix the foot. In order to make it easier to "feel" the shoes, in our stores, there are "hills" - simulators difficult terrain. Stylish and practical shoes for men. Season: the fall/winter. Men's shoes are good for daily walks around the city and activities The top is made of high quality genuine leather t 2 — 2.2 mm with impregnation against water , has a high wear resistance, regulates breathability and provides comfort Have excellent strength, water resistance, and solid tongue prevents the ingress of sand and dirt inside the Shoe Lining: textiles Insole: removable, textile/EVA Membrane: Gritex (Gritex) – thin porous membrane of difficult structure made of a hydrophobic polymer Sole: trikonasana (non-slip natural rubber + insert in polyurethane + EVA) "Vibram" it is with deep tread The sole line "ANTISTATICA" - a new system in the production of soles provide extra comfort when walking, protecting feet from static stresses in different conditions socks Durable lace up closure provides a convenient fixation of the boot on the leg Country of origin: Italy If you "iron" reliable calf and ankle joints, you can jump in these shoes in the mountains – from boot for serious trekking only distinguished by their height. In places where there are paths (even if they are punched in the rocks) restrictions on the use of no. Shoes good for approaches to difficult routes, hikes with not too heavy a backpack and exits Sunday. But in the harsh urban everyday life you can not be afraid for my legs in buses, lobbies, trains and subway cars. Reliable traction, stability on any terrain, the necessary rigidity and firmness of the Shoe provides trikonasana sole (non-slip natural rubber + insert in polyurethane + EVA) "Vibram" with a deep tread, which is particularly technology support of the foot and increased wear resistance. Sole adapted to different shapes of the foot. Trekhkomponentnye allow the soles to improve cushioning and reduce the weight of shoes. EVA (ethylene vinyl acetate) is a lightweight and supple material similar to rubber foam with excellent cushioning properties. It is well springy, quickly restores its shape after deformation, maintains its flexibility at low temperatures and has a low degree of heat. Polyurethane - based product polymers. The special structure makes it malleable under the influence of external forces. At the same time provides insulation and cushioning against shock. The outer sole of non-slip rubber with deep tread provides a secure grip with different ground in any weather. Used in the manufacture of a sole system "ANTISTATICA", protect your legs from static electricity. Upper material - high quality genuine leather with water-repellent impregnation, which "breathes" and has a surprising durability. Shoes lining - textile material with Gritex membrane (Gritex) - breathes, is waterproof, well removes excess moisture and maintains a comfortable temperature in the Shoe, protecting the foot from moisture and exposure. Special removable molded anatomical footbed with high wear resistance and antibacterial properties, supports arch and provides ventilation. The sewn-in tongue with soft material reduces the likelihood of getting wet and falling into the boots of snow, water and forest "waste". Durable lacing tightly fixes the leg, is tightened easily and quickly released. In order to make it easier to "feel" the shoes, in our stores, there are "hills" - simulators difficult terrain. Stylish and practical shoes for men. Season: the fall/winter. Men's shoes are good for daily walks around the city and activities The top is made of high quality leather cattle T. 2 - 2.2 mm, has high wear resistance, regulates breathability and provides comfort Have excellent strength, water resistance, and solid tongue prevents the ingress of sand and dirt inside the Shoe Top: genuine leather with impregnation from water/textiles Lining: textiles Insole: removable, textile/EVA Membrane: Gritex (Gritex) – thin porous membrane of difficult structure made of a hydrophobic polymer. Gritex protects from moisture and allows the feet to breathe, providing a dry and warm Sole: thermoresin + EVA, Vibram Durable lace up closure provides a convenient fixation of the boot on the leg Country of origin: Italy The pine trees whisper a gentle recognition on wetlands of marshes, clear streams invite you to relax in the cool, rocky ridge blocking the path, cutting off random brought here by the wind. Choosing shoes " Red Rock m11473," you choose the opportunity to confidently walk through life, not really looking down at his feet. Breathable, waterproof, and high boots, holding for any complex terrain, meet the highest standards perfected over the centuries of Italian quality. The necessary rigidity and elasticity, good grip and stability on challenging terrain provides docomposition sole "Vibram" (thermoresin + EVA), which is particularly technology support of the foot. EVA (ethylene, vinyl, acetate) is a lightweight and supple material similar to rubber foam with excellent cushioning properties. Has low heat, does not absorb moisture, maintains its flexibility at low temperatures. Thanks to the foam structure of the EVA midsole, the shoes are well springy, easily recovers its shape when reverse deformation, retains heat, doesn't miss the cold. The outer sole of heat-resistant rubber with multi-directional tread provides a secure grip with the most varied surface in any weather. Upper material - high quality leather cattle T. 2 - 2.2 mm water repellent, breathable , and features excellent wear resistance and gives a feeling of lightness and comfort. Shoes lining - textile material with Gritex membrane (Gritex) - breathes, is waterproof, well removes excess moisture and maintains a comfortable temperature in the Shoe, protecting the foot from moisture and exposure. Special removable molded anatomical footbed with high wear resistance and antibacterial properties, provide good ventilation. The sewn-in tongue with soft material reduces the likelihood of getting wet and falling into the boots of snow, water, sand and dirt. Durable lacing tightly fixes the leg, is tightened easily and quickly released. In order to make it easier to "feel" the shoes, in our stores, there are "hills" - simulators difficult terrain. Sturdy, high-quality and reliable shoes for the spring-autumn and have advantages such as protection from rain, mud and wind, and at the same time allows the feet to breathe. Microporous midsole absorbs shocks Made of thick and durable genuine leather 1st class Vibram sole (Vibram) – provides an excellent "grip" on dry and wet surfaces Non-slip properties of the sole are retained in different temperature regimes. Increased durability of the midsole The thin porous membrane of difficult structure - Gritex (GITEX), made of hydrophobic polymer Insole - removable, antibacterial, with holes for ventilation Durable lace up closure provides a convenient fixation of the boot on the leg Country of origin: Italy The Peninsula, like a boot above the door of the shoemaker, is trying to draw the world's attention on the quality, design, ease and quality of Italian shoes. Don't turn away from the obvious! This Shoe has been honed for centuries, and manufacturers of trekking shoes applied advanced technology with the love and attention of legendary Italian shoemakers. Boots good for Hiking in rough terrain, the mountains, and approaches to high-altitude routes. But in the harsh urban everyday life you can not be afraid for my legs in buses, lobbies, trains and subway cars. The necessary rigidity and elasticity, good adhesion to different soil in all weather conditions and stability on challenging terrain provides oil-resistant outsole "Vibram" with a deep tread, which is particularly technology support of the foot and increased wear resistance. Intermediate microporous outsole absorbs shock. Upper material - high quality genuine leather with water-repellent impregnation, which "breathes" and has a surprising durability. Shoes lining - textile material with Gritex membrane (Gritex) - breathes, is waterproof, well removes excess moisture and maintains a comfortable temperature in the Shoe, protecting the foot from moisture and exposure. Special removable molded anatomical footbed with high wear resistance and antibacterial properties, provide good ventilation. The sewn-in tongue with soft material reduces the likelihood of getting wet and falling into the boots of snow, water and forest "waste". Durable lacing tightly fixes the leg, is tightened easily and quickly released. In order to make it easier to "feel" the shoes, in our stores, there are "hills" - simulators difficult terrain. Sturdy, high-quality and reliable shoes for the spring-autumn and have advantages such as protection from rain, mud and wind, and at the same time allows the feet to breathe. Microporous midsole absorbs shocks Made of thick and durable genuine leather 1st class Vibram sole (Vibram) – provides an excellent "grip" on dry and wet surfaces Non-slip properties of the sole are retained in different temperature regimes. Increased durability of the midsole The thin porous membrane of difficult structure - Gritex (GITEX), made of hydrophobic polymer Insole - removable, antibacterial, with holes for ventilation Support System (Support System) – this system provides support for the arch of the foot. Is the back made of polyurethane Durable lace up closure provides a convenient fixation of the boot on the leg Country of origin: Italy The Peninsula, like a boot above the door of the shoemaker, is trying to draw the world's attention on the quality, design, ease and quality of Italian shoes. Don't turn away from the obvious! This Shoe has been honed for centuries, and manufacturers of trekking shoes applied advanced technology with the love and attention of legendary Italian shoemakers. Boots good for Hiking in rough terrain, the mountains, and approaches to high-altitude routes. But in the harsh urban everyday life you can not be afraid for my legs in buses, lobbies, trains and subway cars. The necessary rigidity and elasticity, good adhesion to different soil in all weather conditions and stability on challenging terrain provides oil-resistant outsole "Vibram" with a deep tread, which is particularly technology support of the foot and increased wear resistance. Upper material - high quality genuine leather with water-repellent impregnation, which "breathes" and has a surprising durability. Shoes lining - textile material with Gritex membrane (Gritex) - breathes, is waterproof, well removes excess moisture and maintains a comfortable temperature in the Shoe, protecting the foot from moisture and exposure. Special removable molded anatomical footbed with high wear resistance and antibacterial properties, provide good ventilation. The heel is made of polyurethane (Support System (Systems Support)) provides support for the arch of the foot. The sewn-in tongue with soft material reduces the likelihood of getting wet and falling into the boots of snow, water and forest "waste". Durable lacing tightly fixes the leg, is tightened easily and quickly released. In order to make it easier to "feel" the shoes, in our stores, there are "hills" - simulators difficult terrain. Reliable quality men's leather boots Red Rock, designed for spring-autumn. Made of thick and durable genuine leather 1st class Vibram sole (Vibram) – provides an excellent "grip" on dry and wet surfaces Non-slip properties of the sole are retained in different temperature regimes Increased durability of the midsole Top: genuine leather with impregnation from water/textiles Insole - removable textile/EVA, antibacterial, with holes for ventilation Membrane: Gritex (Gritex) – thin porous membrane of difficult structure made of a hydrophobic polymer Durable lace up closure provides a convenient fixation of the boot on the leg Country of origin: Italy The Peninsula is like a boot above the door of the shoemaker is trying to draw the world's attention on the quality, design, ease and quality of Italian shoes. Don't turn away from the obvious! This Shoe has been honed for centuries, and manufacturers of trekking shoes applied advanced technology with the love and attention of legendary Italian shoemakers. 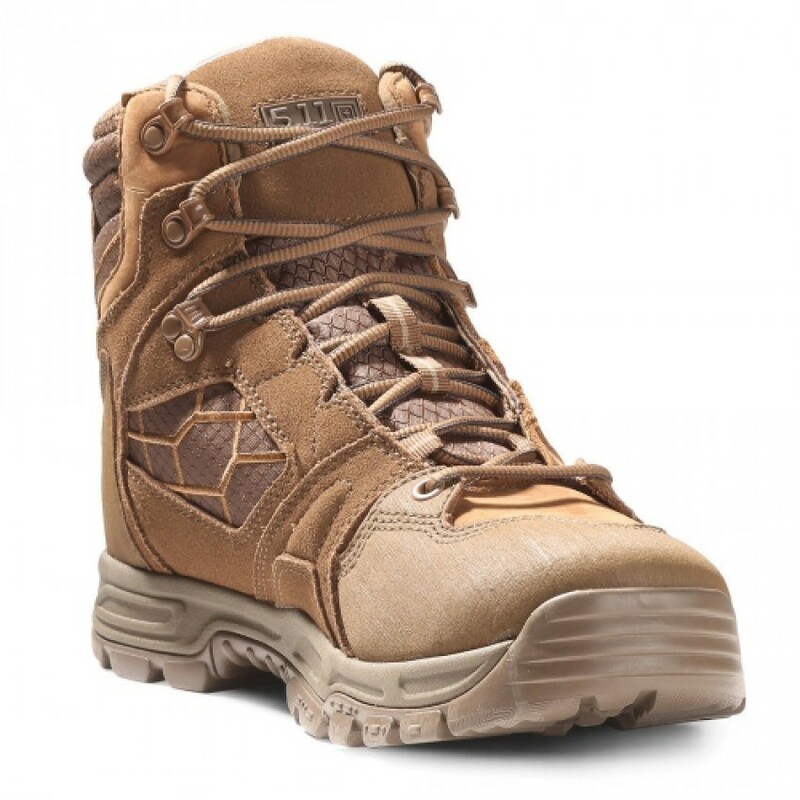 Boots good for Hiking through rough terrain, mountains and challenging approaches to routes. But in the harsh urban everyday life you can not be afraid for my legs in buses, lobbies, trains and subway cars. The necessary rigidity and elasticity, good adhesion to different soil in all weather conditions and stability on challenging terrain provides oil-resistant outsole "Vibram" with a deep tread, which is particularly technology support of the foot and increased wear resistance. Upper material - high quality genuine leather with water-repellent impregnation, which "breathes" and has a surprising durability. Shoes lining - textile material with Gritex membrane (Gritex) - breathes, is waterproof, well removes excess moisture and maintains a comfortable temperature in the Shoe, protecting the foot from moisture and exposure. Special removable molded anatomical footbed with high wear resistance and antibacterial properties, supports arch and provides ventilation. The sewn-in tongue with soft material reduces the likelihood of getting wet and falling into the boots of snow, water and forest "waste". Durable lacing tightly fixes the leg, is tightened easily and quickly released. In order to make it easier to "feel" the shoes, in our stores, there are "hills" - simulators difficult terrain. Choose and order Trekking boots Red Rock m 10943 cor. 40. Worldwide shipping. Australia, Japan, South Korea, United Kingdom. We ship to all islands including Antigua, Barbuda, Great Bird, Green, Guinea, Long, Maiden and the York Islands. Easily at the cheapest cost.